I took some photos a few weeks ago of cover crops I planted mid-September. 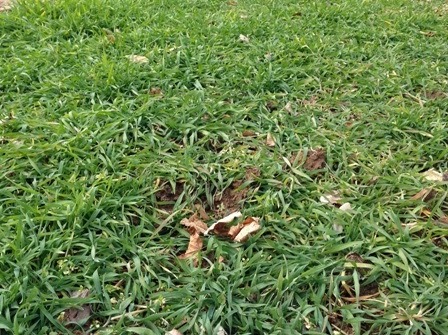 Barley is a cereal grass that is less winter-hardy than cereal rye but usually survives Central MD winter weather. Not this year. And oats are more reliably killed by “typical” winter weather in MD. So while I won’t have to worry about spring re-growth of the oats and barley I do have to be ready for the chickweed, deadnettle, and henbit that grows very nicely in the dead cover crop. 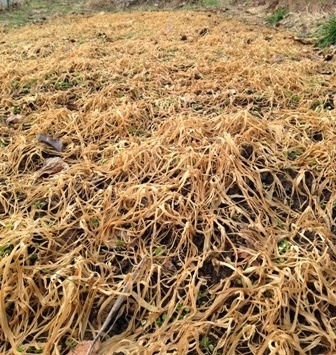 The winter rye will have to be cut (or smothered) and killed before I can plant spring veggies, and that can be a chore. But rye, with its massive rye root system, can pull up three times as much nitrogen from the soil than can oats or barley. And it’s hard to beat for sheer quantity of biomass and ability to improve soil structure. 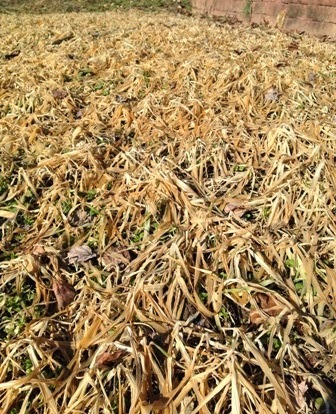 Cereal rye can take the cold! 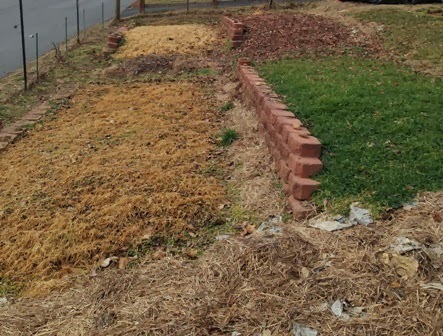 How do you deal with the dead material before planting? Do you just rototill it into the ground and plant right away? Or do you have to wait for it to decompose first? No need to rototill. Just dig a little hole, and plant your seed or seedlings right in the cover crop. Less soil disturbance is a good thing. And the cover crop makes it's own mulch and feeds the soil as it breaks down.